Claire Bronson is an actress who keeps popping up in my favorite shows, such as Resurrection (RIP), The Walking Dead, and Bloodline (which is filmed right in our own backyard of the Florida Keys), and I was so excited to talk to her for this episode!! A long-time performer, Claire grew up with a strong inner pull toward acting, and she has followed it all the way to success. We talk about pursuing acting and landing roles, being on these amazing sets and working with such wonderful casts, and what she sees for her future. As the cofounder of her own acting studio, Drama Inc. in Atlanta, GA, Claire is equally focused on guiding others in what can be a very tricky and difficult field. In this conversation, she does not hold back in giving tips for others wanting to pursue their dreams—both specifically in acting and in whatever else one is passionate about. You’ll love her!! Also, keep your eyes and ears peeled for a very special September!! It’s my birthday month, and I’m celebrating by giving away three Dodo virtual reality cases on Facebook. 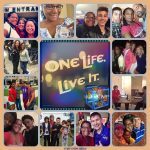 So, be sure to like that page for updates! And, I am planning a special episode for my birthday where tables are tuned and people ask ME questions. So, submit yours to me today at CurveTheCube@gmail.com. 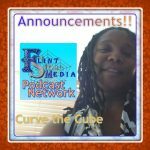 I’ve also recently launched the Flint Stone Media Podcast Network where I help other podcasts grow! 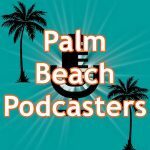 If you have a podcast or are thinking of starting one, check out the benefits of being in my Network. Stay tuned to Flint Stone Media on Facebook for new show announcements! Be sure to also catch our sister show, the Vivid Arts Podcast. Vivid Arts is a podcast hosted by our friend, Eddy Gee from EGee Labs connecting creative geeks with artists, performers, creative influencers, travelers, and the arts and culture community as a whole! Guests have included artists, muralists, sculptors, theatrical performers, dancers, cultural travelers, museums, charities, galleries, city member and more. So check them out at VividArtsApp.com, Facebook, Instagram, YouTube and download the iOS app today!